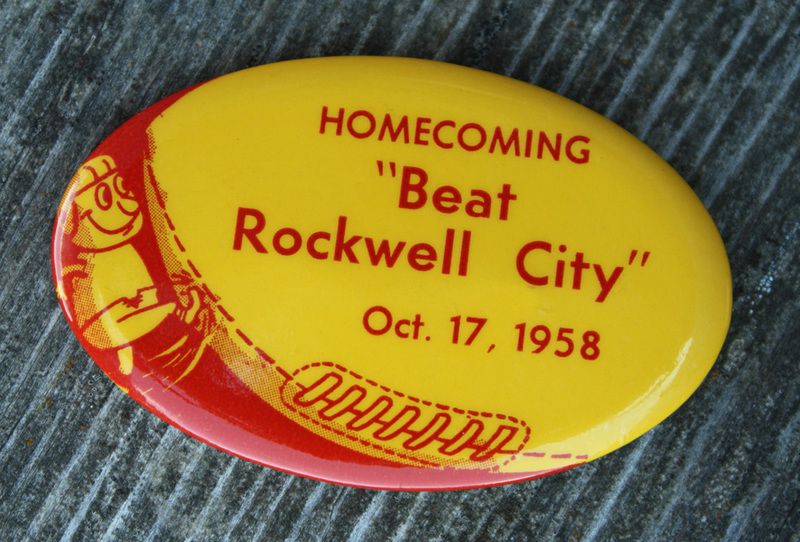 This Rolfe Homecoming pin belongs to my sister, Clara, who was in the same graduating class as Sharon. When this pin was sold at Homecoming time in 1958, Clara and Sharon were juniors; I was yet to turn three years old. 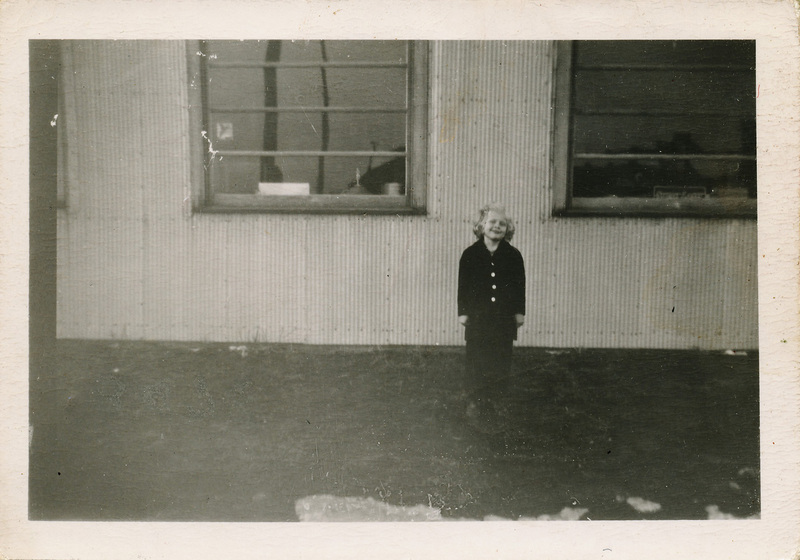 This post includes the fourth (of a total of five) segment of a conversation I had last spring with Sharon (Wickre) Rickard, Rolfe High School class of 1960. 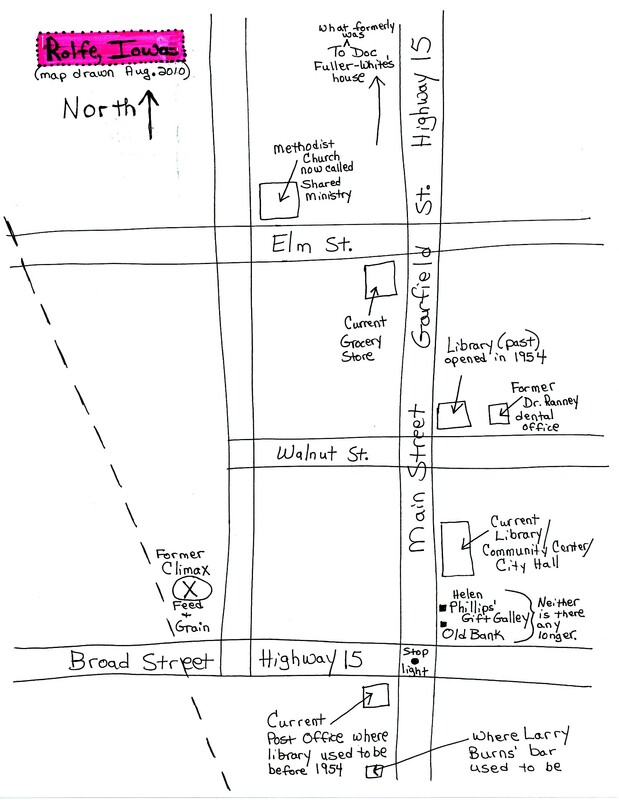 Sharon and several others mentioned that the Rolfe Public Library used to be at the location of Rolfe’s current post office (shown on the map posted with the third segment). 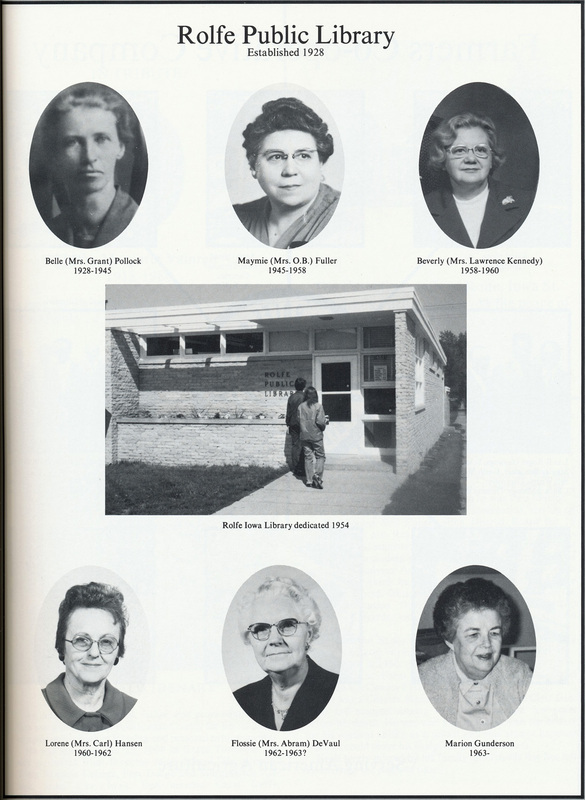 From there, in 1954 the library’s collection was moved to the building pictured above. To navigate to the posts that include the first three segments, click on these links: first segment (9 1/2 minutes), second segment (7 minutes) and third segment (6 1/2 minutes). This entry was posted on August 16, 2010 at 1:31 pm and is filed under Iowa, Rolfe. You can follow any responses to this entry through the RSS 2.0 feed. You can skip to the end and leave a response. Pinging is currently not allowed.